The International Accounting Standards Board (IASB) today issued a proposal as part of its IFRS 9 financial instruments project that would require entities to apply an expected credit loss model on their loans, debt securities, trade receivables, lease receivables, loan commitments and financial guarantee contracts. The proposals will affect both financial institutions and corporates and will likely result in earlier recognition of credit losses compared to the current incurred loss model, because entities would be required to recognize either a 12-month or lifetime expected credit loss allowance that includes losses that are expected in the future. Tony Clifford, Ernst & Young's Global IFRS Financial Instruments Leader, says: "We welcome the IASB's proposal for an expected credit loss model because it is more forward looking, recognizing not only credit losses that have already occurred, but also losses that are expected in the future. The proposals provide enhanced transparency to an entity's credit risk and provisioning process and are likely to increase the credit loss provision recorded by many financial institutions. However, the increase in provision will vary by entity, and entities with shorter term and higher quality financial assets are less likely to be affected." The IASB's proposals grew out of a joint project with the US Financial Accounting Standards Board (FASB). However, due to concerns raised by the FASB's constituents about the model's complexity, the FASB has proposed an alternative model with a single measurement objective but which retains many of the jointly developed core principles. The FASB's current expected credit loss model requires entities to recognize a credit loss allowance for its current estimate of the contractual cash flows it does not expect to collect. Clifford concludes: "We expect that the Boards will jointly discuss comments on their respective proposals. This will provide an opportunity to work towards a converged solution that will promote consistent accounting for credit loss allowances and increase comparability for stakeholders. Where appropriate, constituents should participate in the IASB's staff outreach to help the development of a robust standard that is operationally viable and serves the interests of all stakeholders." "Azerbaijani banks need to seriously consider upcoming changes in IFRS. 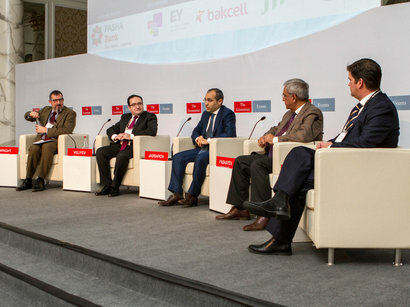 While there is still a lot of time untill all discussions will be finalized, the banks should not underestimate the efforts required to implement new expected loss model", added Turgay Teymurov, Assurance Partner, Ernst & Young Azerbaijan. The comment period for the proposals ends on 4 July 2013. For further commentary from Ernst & Young on this and other IASB projects, please go to www.ey.com/ifrs. Ernst & Young expands its services and resources in accordance with clients' needs throughout the CIS. 4,000 professionals work at 19 offices including Moscow, St.Petersburg, Baku, Almaty, Astana, Kiev, Tashkent, Tbilisi and other locations. Ernst & Young has made a major commitment to Azerbaijan and the region with the opening of our office in Baku 18 years ago and the growth of our local financial service industry group. Today, in addition to being a leading audit firm in Azerbaijan, we are the leading firm in the region. Because of our experience and depth of knowledge, we have been able to assist both domestic and international companies as well as state-owned entities in developing them to face the challenges of the international economy. We currently have more than 140 staff in our Baku practice, which served our clients, including banks and other financial institutions, in Azerbaijan. The strength of Ernst & Young in the Caspian Region and the firm's commitment of resources are important to the entities operating in the region. It means that as we grow, Ernst & Young will continue to demonstrate a tradition of hiring and training local professionals to be leaders in our practice. For more information, please refer to http: //www.ey.com/Azerbaijan.